Turkish warplanes pounded Kurdish rebel bases in northern Iraq Monday, the day after a suicide car bomb tore through downtown Ankara killing at least 36 people, the third attack on the capital in five months. There was no immediate claim of responsibility for the latest carnage, which reduced cars and buses to charred hulks on a busy road in the heart of the city, wounding more than 120 people. But Ankara believes one of the bombers was a woman with ties to the outlawed Kurdistan Workers’ Party, a Turkish official told AFP on Monday. Hours after the attack, Turkish F-16 and F-4 fighter bombers hit arms depots and shelters of the outlawed Kurdistan Workers’ Party (PKK) in mountainous northern Iraq, the army said, quoted by the state-run Anatolia news agency. The strikes came as the government announced three more deaths overnight from Sunday’s huge explosion at a bus stop near a busy square in central Ankara. “As of this morning… we lost three more citizens in hospital,” Health Minister Mehmet Muezzinoglu said. He gave an overall toll of 37, but said this included at least one attacker and possibly two. By Monday morning, the area was locked down under heavy security, with armed police standing guard and forensic experts picking through the scene. The military said the PKK targets were hit “with precision”, with a spokesman for the rebels confirming the strikes and saying that so far, there was no clear picture of the damage caused. Sunday’s attack bore similarities to another suicide car bombing in Ankara on February 17 which targeted military personnel and killed 29 people. That attack was claimed by the Kurdistan Freedom Falcons (TAK), linked to the PKK, which said it was revenge for operations by the Turkish military in the southeast of the country. Prime Minister Ahmet Davutoglu said Turkey had “concrete information” on the group behind Sunday’s attack, saying results from inquiry would be made public soon. “One attacker is believed to be a woman with links to the PKK,” a Turkish official told AFP on Monday, without giving further details. Officials say Sunday’s attackers deliberately targeted the bus stop close to Kizilay square, a bustling commercial and transport hub near the parliament, prime minister’s office and foreign embassies. The fact that extremists were able to strike again in the heart of the Turkish capital, so close to so many sensitive buildings and so soon after February’s attack will raise questions about the country’s ability to deal with the twin threat of Kurdish rebels and the Islamic State (IS) group. Turkey has been hit by a string of major attacks since the middle of last year, most of them blamed on the IS group. Three of them have targeted Ankara, including a double suicide bombing in October that left 103 people dead. As recently as Friday, the US embassy issued a warning about a possible plot to attack central Ankara, advising American citizens to avoid the area. Nihat Gorgulu, the uncle of one of the victims, lashed out at the authorities for failing to prevent Sunday’s carnage. “People have been talking about another bomb attack coming for more than a week but the government took no precautions and didn’t warn anyone,” he told AFP. 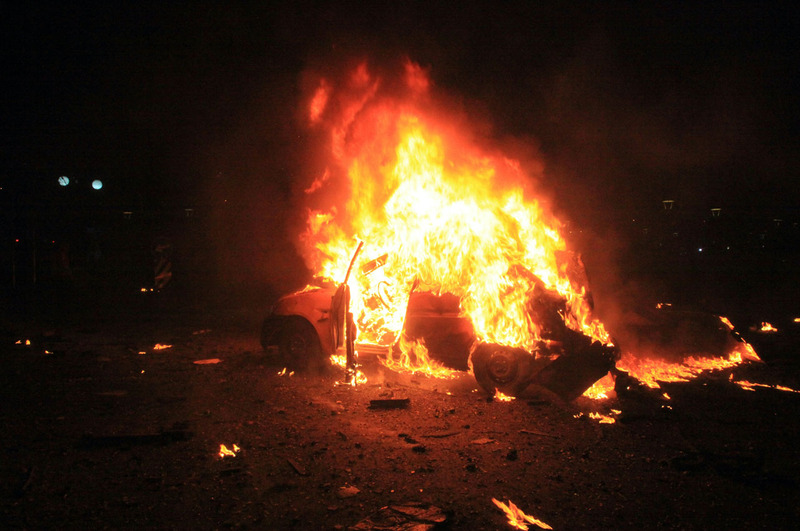 One man caught up in the bombing told AFP he escaped death by flinging himself out of his car. The timing of Sunday’s attack is awkward for Ankara, coming as it seeks to persuade the European Union to speed up its application to join the bloc. Since December, Turkish security forces have been waging a major campaign against the PKK following the collapse of a ceasefire in the middle of last year. Ankara has vowed to wipe out the PKK, classed as a terrorist organisation by Turkey and its Western allies. President Recep Tayyip Erdogan said late Sunday that the government would “never abandon its right to legitimate defence against the terrorist menace”. Erdogan has rejected the TAK claim of February’s attack, insisting it was the work of the Syrian Kurdish People’s Protection Units (YPG), which Ankara regards as a branch of the PKK. The issue has driven a wedge between Ankara and its ally Washington, which works with the YPG as the only effective force combating IS in Syria.